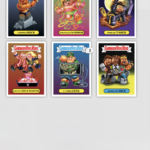 So you thought GPK the Game would be the first place you could collect GPK cards digitally? Topps WWE Slam mobile app beat them to the punch. 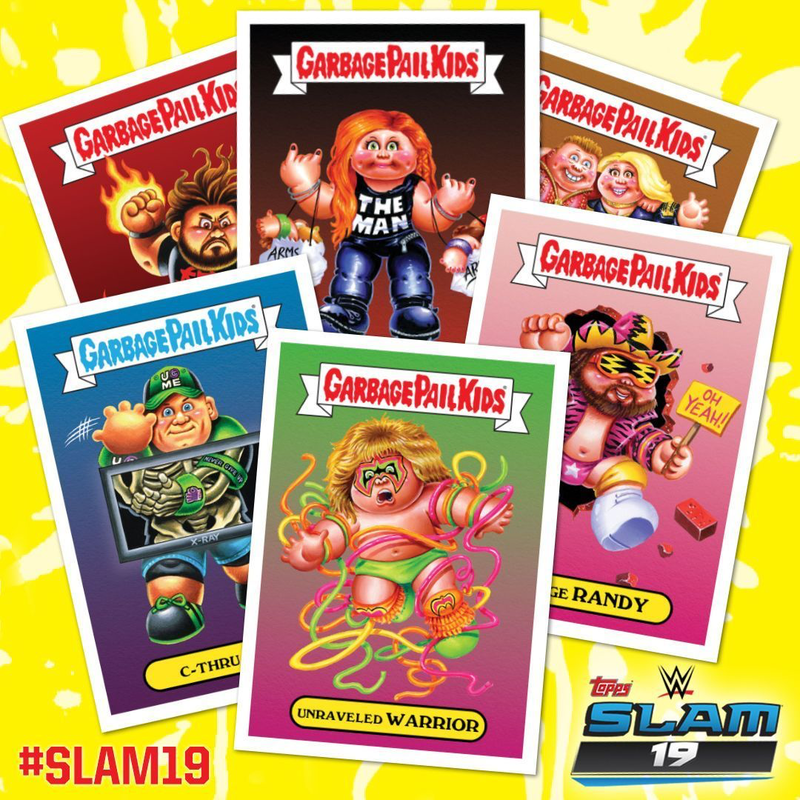 Today Topps debuted WWE X GPK cards in their mobile WWE Slam app. The WWE Slam app allows collectors to collect all types of digital trading cards of WWE superstars. 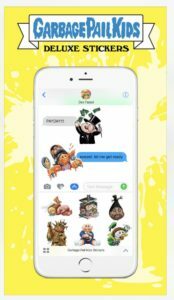 The app is one of a number of card collecting apps available for Topps products. Much like other apps, it is available on iPhone and Android phones in their respective app stores. The app is free to download, collectors get a number of free base card packs, with the option to purchase diamonds that allow you to buy additional card packs. Collectors can also trade with each other via the app. 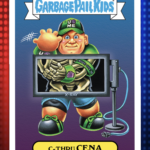 So how to do you get the WWE X GPK cards in the app? 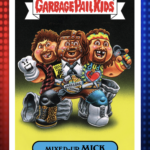 Right now it appears there are three possible options to pulling the GPK cards in the app. Within the Featured section of the WWE Spam store there are options to purchase Ultra GPK, Super GPK, and GPK packs. Each pack costs a varying amount of diamonds or coins. With the pack you will primarily received WWE Slam 2019 base cards, along with some inserts. 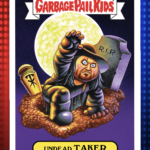 However, randomly inserted within the pack will be the WWE X GPK cards. It looks like you can get 2-3 GPK cards per Ultra pack, with the lesser packs providing harder pull rates. 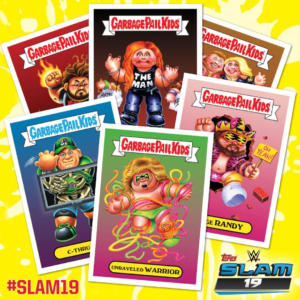 While not for every collector, if you already have the WWE Slam app and are into wrestling, be sure to collecting all the WWE X GPK digital cards. 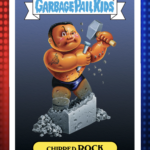 Paul Lasko, who writes about legal issues in the trading card market for Cardboard Connection, was first to report today that Topps filed for trademarks for both GPK and Garbage Pail Kids in association with, “downloadable images and graphics in the nature of digital stickers”. No work on what this could be for. 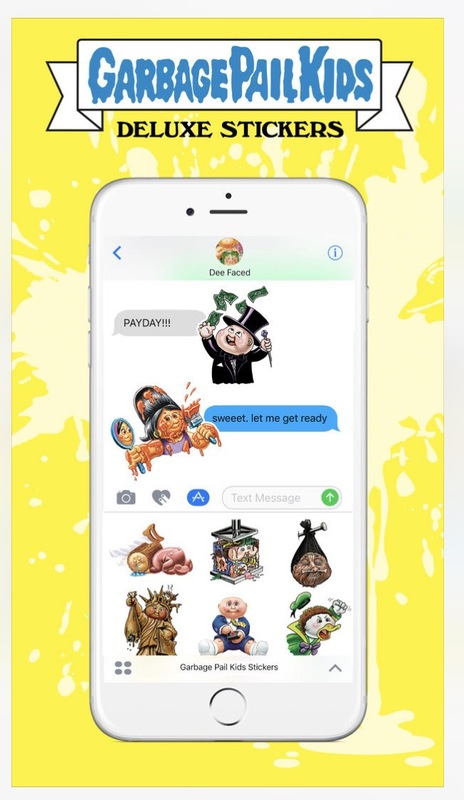 It could be as simple as the trademarks for the digital stickers already released in the Apple App Store. Or maybe it could mean more? 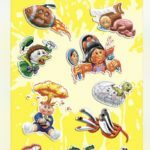 Topps also filed for trademarks for digital stickers for the Wacky Packages and Mars Attacks brands, which have not had any digital releases as of yet.